WE ALL NEED THIS!!!! One of the founding principals of 2Savor.com...all we have is THIS moment. 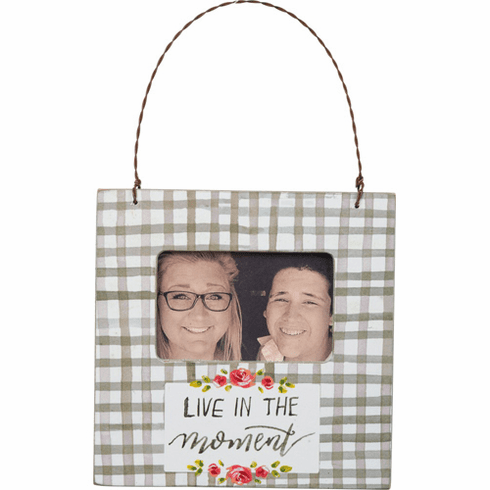 A watercolor art-inspired wooden mini picture frame lending a hand lettered "Live In The Moment" sentiment with floral designs and gingham background; fits a 3" x 2" photo. Has a twisted wire hanger, magnet, and peg for standing.